FEATURES: The Windbreaker Neodanna? 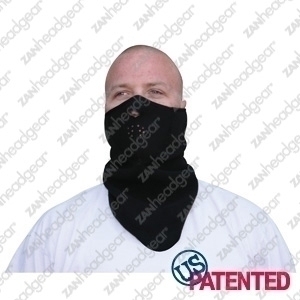 is a patented design exclusive to ZANheadgear?.We integrated a comfortable, warm and durable Neoprene face mask with fleece llined windbreaker material for extra wind protection. Great for cold weather. Easily adjusts with a Velcro closure. Reversible.